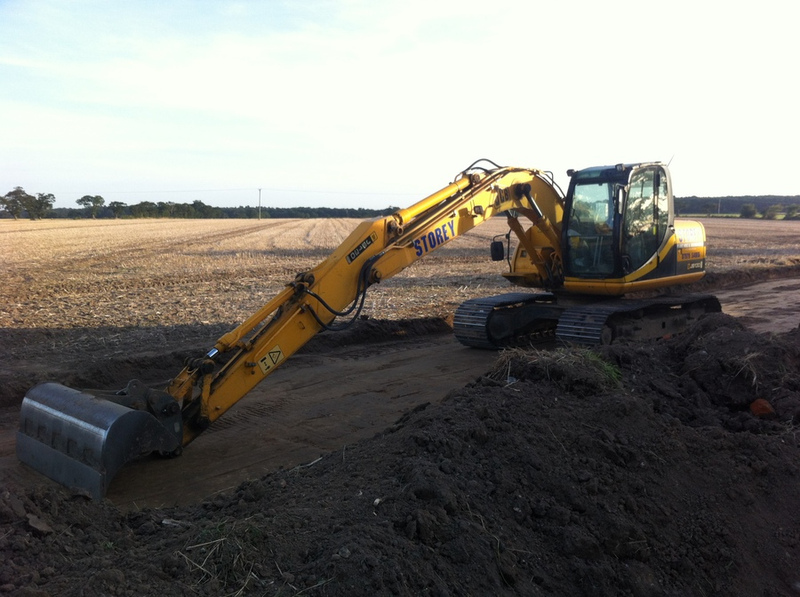 In preparation for building around 36 new homes south of the Brookes Drive estate in North Walsham, a new access road is under construction and a large area of farmland has been razed. It is a great shame that prime agricultural land is being used for housing, when there is so much other land around the town that lies derelict and provides visual eyesores. This includes a large and rather ugly ex-industrial site where the North Walsham branch of the Victoriy Housing Trust offices are prominently located (VHT are closely involved with the Brookes Drive development). 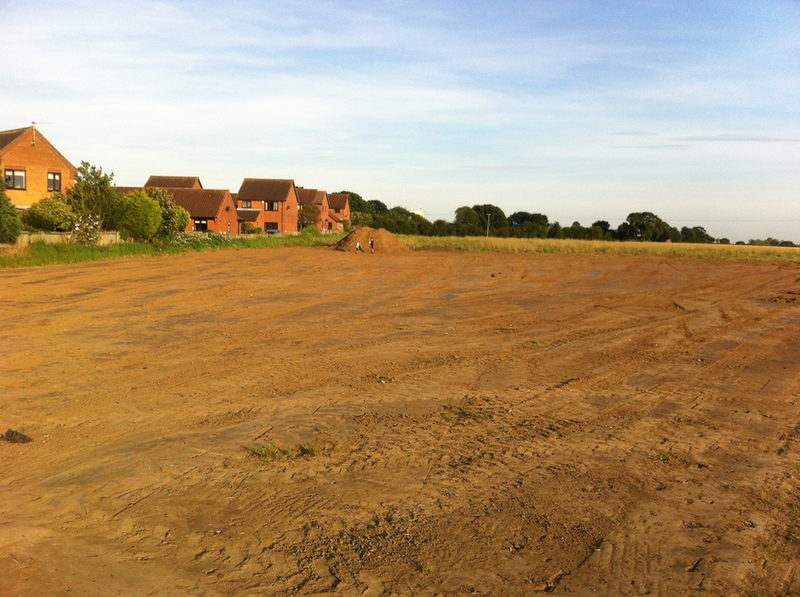 The new site will be located a stone's throw from the nearest primary school playing fields, but no direct access to the roads bordering the school is provided; new residents will need to travel 1.2 km to reach the school instead. The main Brookes Drive estate itself was built in about 1996 with similarly minded lack of planning and infrastructure access to the nearest school. 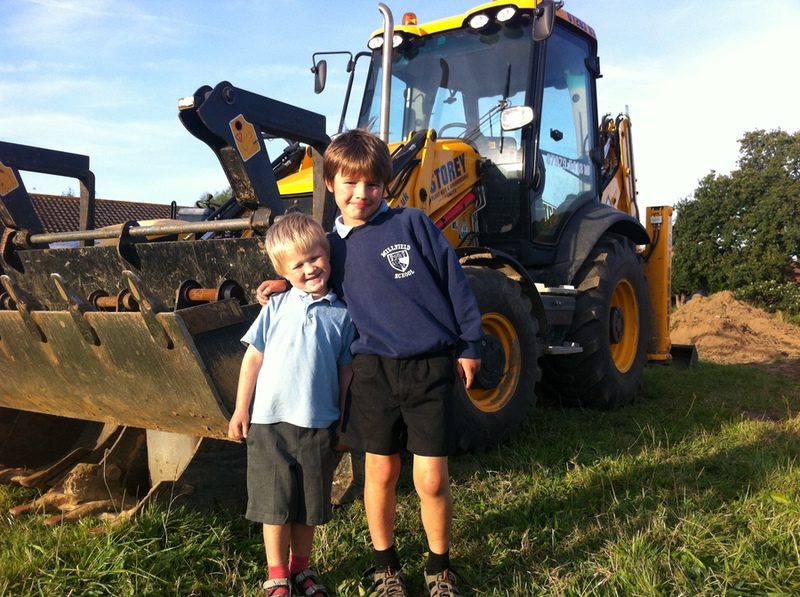 The two children posing with the digger are our two youngest. 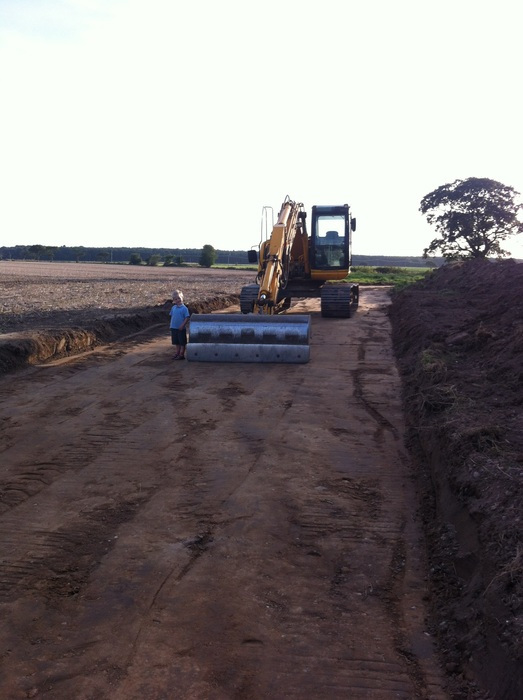 The smallest one (Michael) is particularly fascinated by heavy machinery, so he will want to spend a lot of time watching the progress on the construction site.